Remember my previous blog post about my chilli red and red violet hair? This time, I decided I didn't want my hair that red anymore. I came in looking like that. Yes, I know. Extremely itchy backside of me. I visited Caely at Shunji Matsuo at 313 Somerset and she suggested I lightened my hair first and to come back later for a darker colour if I wasn't comfortable with it. She warned me that it would get lighter after a few weeks. Instead of bleaching, she lightened it. Lightening is a less harsher method but of course, it can't go as super blonde unless you bleach it. She topped it off with a reddish brown colour which I love! And styled for me that day. Me love! Trying out a darker mahogany brown this time so that the colour will fade to brown (instead of blonde) after a while. Despite my fickleness, the numerous hair colours and lightening, my hair is still extremely soft because Caely used a Conditioner Colour which does not contain ammonia and is considered as a gloss colour. Thus shinier hair! Posted in Advertorials, Beauty, Hair, Hair Colour, Hair Treatments, Hairstyles, Singapore Beauty Blog, Singapore Lifestyle Blog, Sponsored, Womenly Wednesdays. Tags: 10% discount off Shunji Matsuo 313, 313 at Somerset, 313 somerset, Beauty blogger, beauty reviews, blogger shunji matsuo discount, caely, Caely Shunji Matsuo, Caely Tham Shunji, Caely Tham Shunji Matsuo, Caely Tham Shunji Matsuo 313, Good hairsalons in Singapore, Hair Salons in Orchard, hair styling, hair treatment, Hair treatments, Hair treatments at Shunji Matsuo 313, Hair Treatments in Shunji Matsuo 313, hairstyles, japanese salon, nadnut, nadnut hair, nadnut red hair, nadnut redhead, nadnut.com - Singapore Lifestyle Blog, orchard, Promotions at Shunji Matsuo, review, Salon promotions, shunji matsuo, Shunji Matsuo 313 blogger, Shunji Matsuo @ 313, Shunji Matsuo blogger, Shunji Matsuo Hair Salon at 313, Shunji Matsuo promotions, singapore beauty blog, Singapore Beauty blogger, singapore blog, singapore blogger, singapore lifestyle blog, somerset on January 28, 2015 by nadnut. So... I was having lunch with the colleagues one day and we talked about the article The 10 Best People To Travel With and we were exchanging horror travel stories. For every 'good' person to travel with, there is definitely the 'bad' equivalent. And thus, I thought of penning down this entry as my Monday's Musings: The 10 Worst People To Travel With. Total disclaimer: I'm not the best person to travel with. In fact, some of the points I'll be mentioning about describes me perfectly. :p Go figure which one! Here is my list of the 10 Worst People To Travel With. Does any of them sound familiar? The Bochup does not plan for his/her trips. Not to be confused with a person "YOLO"-ing their way through trips. Basically, the bochup does not obsess over details nor do not care about details. This bugs the majority of travellers who probably can't imagine traveling without ANYTHING planned. They usually just follow along whatever the group have planned and says 'anything' when it comes to asking for opinions. They probably have a point most of the times. (Probably saved their neck a couple of times too?) But because of such individuals, usually a group has to change their plans else someone in the group would probably feel bad about 'pangseh-ing' the scaredy cat. Such individuals can't handle things out of their control or folks not following their itinerary. They've planned their trips perfectly and if things don't go their way, they freak out. Badly. They need medication pronto. Like chill pills. Ever traveled in a huge group and deciding to split up? You've probably talked about meeting at a specific place at a specific time. This person disappears and doesn't turn up. Instead of having their kidneys harvested or sold to a circus show, the MIA is probably shopping or back in the hotel room earlier. For some reason, phones hardly work with The MIA. It's predictable how late some people can be. They are perpetually late and watches hardly work on such individuals. Best to always tell The Late Comer to meet 15-30 minutes earlier. *coughs* The Blogger needs to take probably 100 pictures a day. They spend the longest time at meals because they're trying to find a perfect angle to take pictures of their food. If they are at a beautiful destination, traveling companions would probably have to take countless of #OOTDs (Outfit of the day) for The Bloggers. The Bloggers travel best with their kinds. Princesses usually travel with their male servants who would carry everything for them and pander to their wishes. If Princesses do not have their male servants around, they turn into 8. The Whiner. The Whiner is one of the most irritating of them all. They whine about everything. About how cold it is, about how expensive things are, about how far they have to walk, about how heavy their bags are. Everything. Most people whine but The Whiner whines ALL THE TIME. Best to wear earphones or headphones when out with The Whiner. The Slow Coach usually appears during shopping trips. They have this constant need to examine every item in the shop before checking out the next shop. I personally encountered this before. The best way is to split up and meet up after. Unless they are... 10. The Sticky. They persist in following you everywhere. Like everywhere. They can't seem to take a hint and even if you tell them you'll need to run some errands, they'll follow you. Just because. Have you encountered any of the above? Or are there any others that you really can't stand? (Like the Unhygienic?) Feel free to comment! I'll love to hear from you! Posted in Monday's Musings, Singapore Lifestyle Blog, Singapore Travel Blog, Yours truly.... 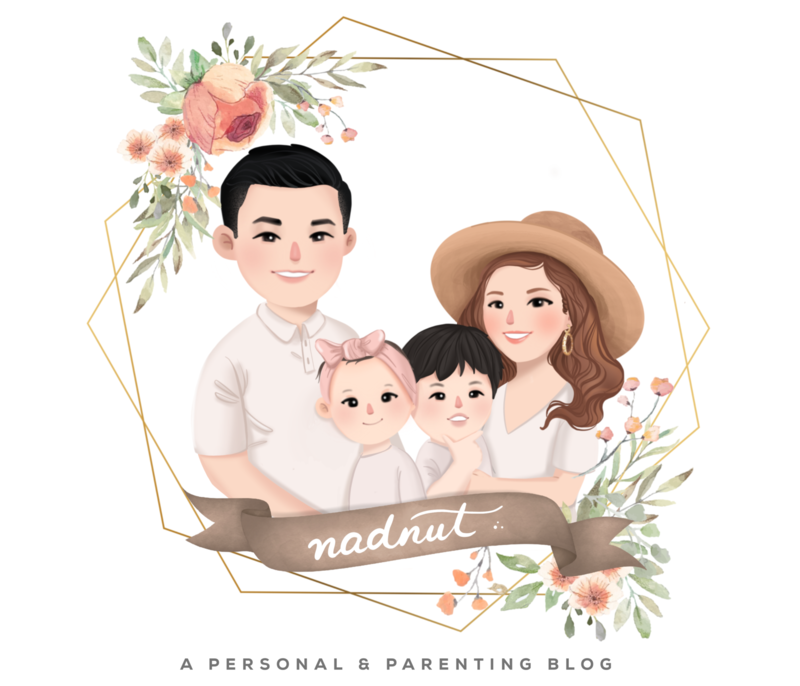 Tags: Monday's Musings, nadnut, nadnut.com, nadnut.com - Singapore Lifestyle Blog, Ramblings, singapore lifestyle blog, The 10 Best People To Travel With, The 10 Worst People To Travel With, Travel Partners on January 26, 2015 by nadnut. You've probably read websites and watched countless of videos talking about the Korean Fire Noodle Challenge. Needless to say, I was curious too. As a lover of most things in Korea (I blame my BFF and Kingmeng for this!!!) and of spicy food, I was extremely game to try it out! The Korean Fire Noodle Challenge is basically a fiery type of instant noodle which looks like it's coated in the blood of demons and provokes unnatural reactions for those who are daring enough to challenge the devil. I posted about it on both Facebook and Instagram and the reactions from friends and followers were amazing. Apparently the cup noodles version was more popular and spicier? As someone who eats a double mcspicy at a go without any laosai after effects, I decided to take up the Korean Fire Noodle Challenge! But of course, one does not go down without dragging people. Misery loves company yo! Yesterday, during lunch, along with 4 other colleagues, we decided to go for it. Some of us were worried about our tummies, some was scared shitless, some of us came prepared with milk while I didn't really think too much about it. So the steps were such. Pour hot water ala cooking instant noodles style. Pour hot water away. Mix in sesame seeds and dunno what else nonsense inside. Last but not least, mix in the devil's blood. Okay, that chilli oil evil thingy. The moment i smelled it, i thought.... This was a very bad idea. The not famous five of us gamely sat down with a cup of milk infront of us and the offensive smelling noodles. like in a race, we waited for the "Go!" before we ran for our lives. Or well, ate for our lives. I took a very undainty big bite and went on going. There were gasps around the table, slurping sounds and lots of tissue wiping but I assure you, it didn't sound pleasant at all. It felt spicy yes but it was fine. One of our runners Alexis, decided to give up after her tongue did the well, tongue version of a leg cramp. The rest of us kept going. I slowly felt the fire burning. Lips were thingy. Tongue felt fuzzy. A warmness in the throat, i just kept going. If I could complete a freaking half marathon, I can freaking eat some spicy noodles!!! Kept shoving the offensive thing in my mouth. And I completed first! While waiting for the two guys to finish (Yuhui left a teeeny weeny bit), i slowly savoured the glory. At this point, I did not drink the milk at all. What did i feel? Hot. Like mad hot. But honestly, bearable. I felt it was actually quite nice! though if it had more liao like hot dogs, it would be damn shiokadoo. But like in the wise words of Katniss: Fire is burning. The worst part wasn't eating it. It was AFTER eating it. It felt hot! I immediately downed my milk. My verdict? Yes, it was hot. But it wasn't the excruating hot I thought it would be afrer watching the videos. I think us chilli lovers would find this delicious. And for those who were asking, no, i didn't laosai after that. But after lunch, when I burped, my eyes felt teary and stingy. It could be a coincidence perhaps. I wanna do it again! Who wants in?! How was your experience? Would love to hear from you guys. Do comment here! Posted in Food, Foodie Fridays, Korean Fire Noodle Challenge, Korean Food, Singapore Food Blog, Singapore Lifestyle Blog, Spicy Food. Tags: Deadly Spicy Korean ramen, Foodie Fridays, Korean Fire Noodle Challenge, Korean Fire Noodle Challenge Singapore, korean shows, nadnut, nadnut Korean Fire Noodle Challenge, nadnut takes on Fire Noodle Challenge, nadnut.com - Singapore Lifestyle Blog, Places to eat in Town, Singapore Food Blog, Singapore Food Reviews, singapore lifestyle blog, singapore lifestyle blogger, Spicy Korean Fire Noodle Challenge on January 23, 2015 by nadnut.